Men’s Basketball Green Game Day! 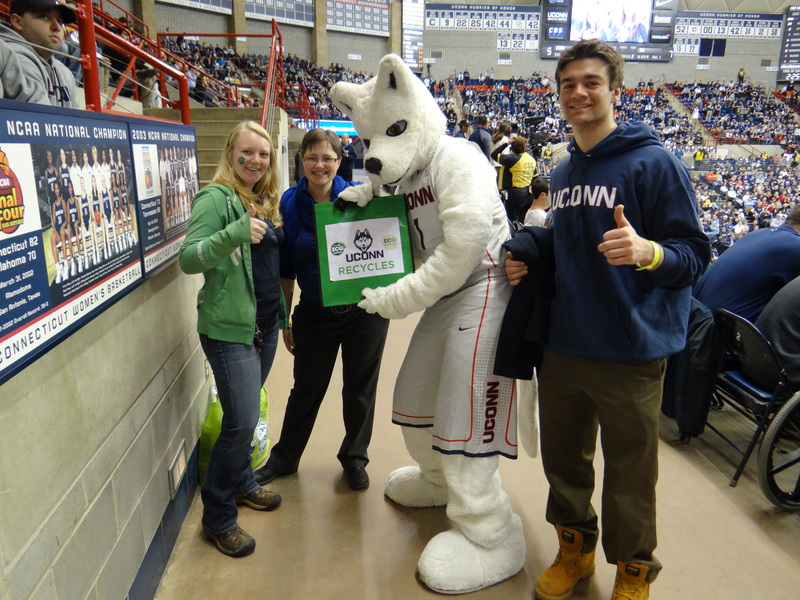 Once again, volunteers rallied at Green Game Day to promote recycling to Husky fans. 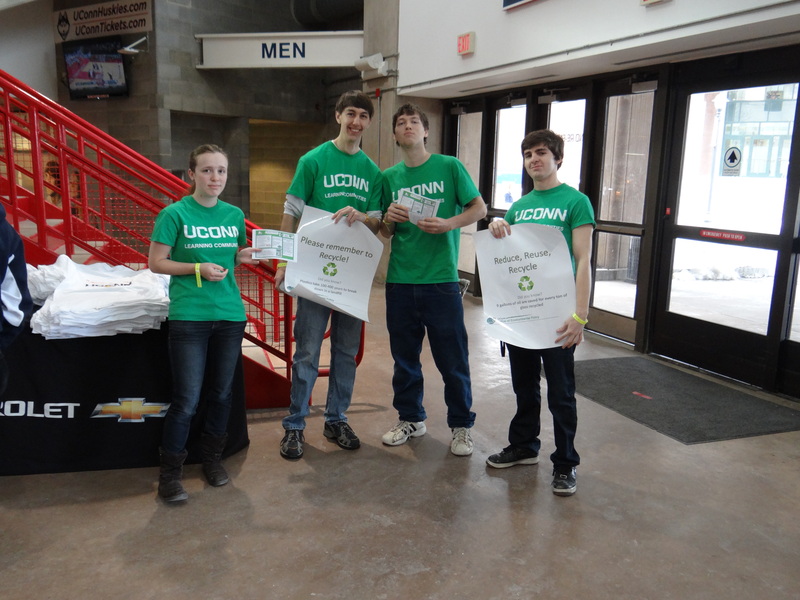 Student volunteers from EcoHusky (Storrs and Avery Point), EcoHouse, and the OEP’s very own interns went to the men’s game on Sunday afternoon to greet fans as they entered the stadium, help direct recycling during the game, and to collect the leftover recyclables from the stands after the game. 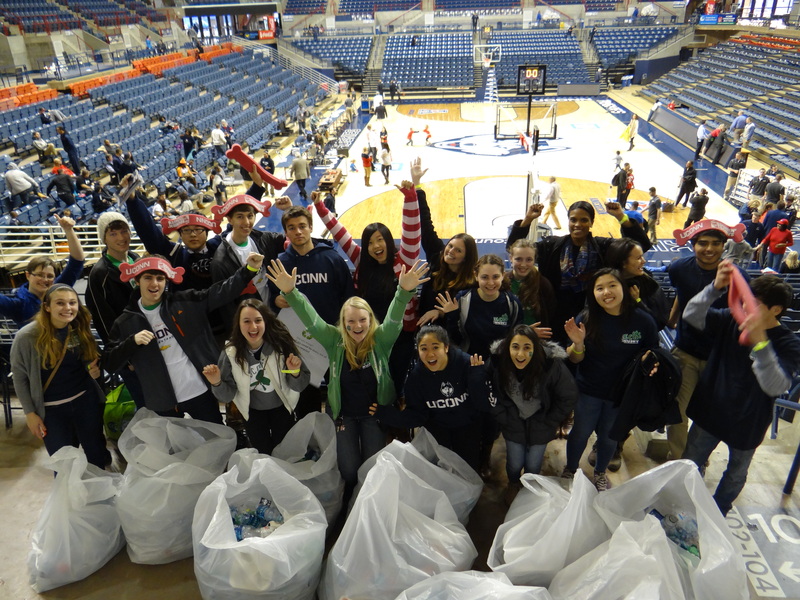 Volunteers collected 260 bottles from the women’s game and a whopping 820 at the men’s game, for over 1000 bottles recycled! 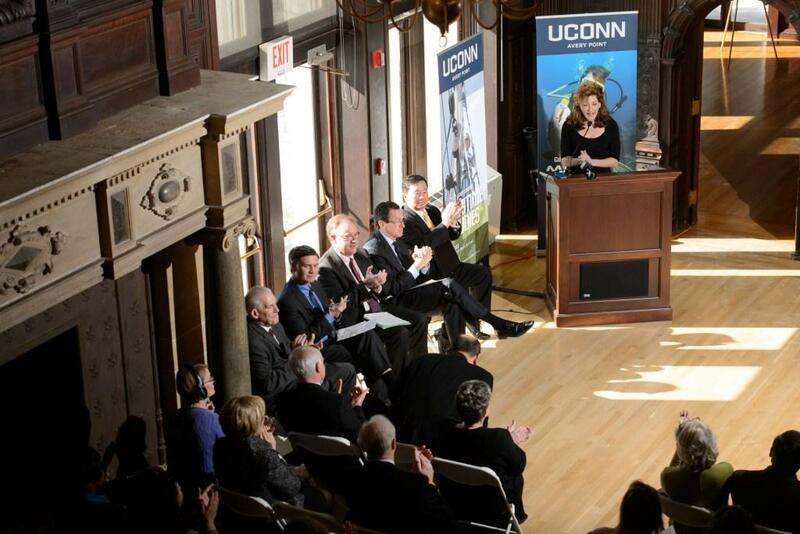 Members of the EcoHusky student group returned the bottles to raise money for the club’s future sustainability efforts. Volunteers show off how many recyclables they collected! 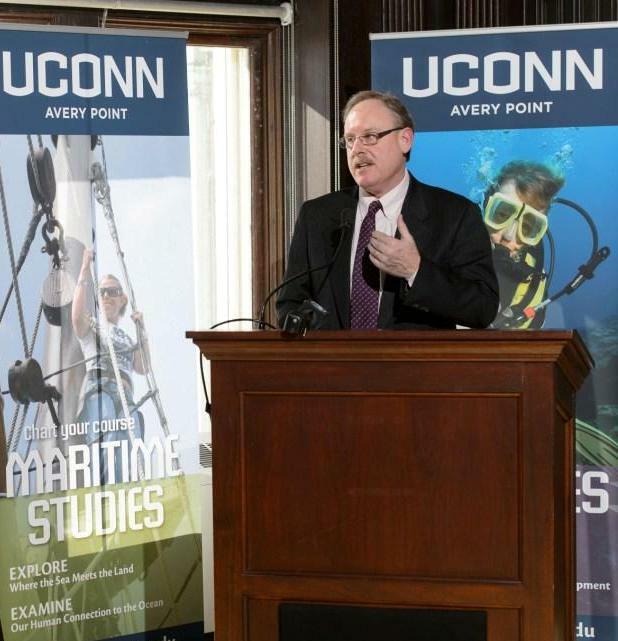 We had a great time at the game, despite the unfortunately outcome of the game. We especially loved talking to fans about recycling, answering questions about the cost/benefit analysis of recycling, and hearing from fans who proudly always recycle! 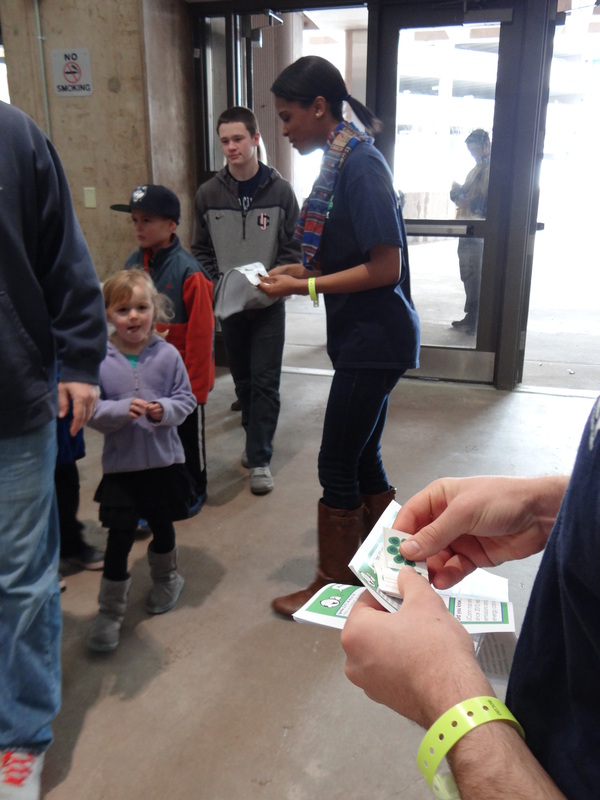 OEP Intern Meredith handing out temporary tattoos and outreach materials to fans as they entered the game. Volunteers from EcoHouse ready at the door, waiting to welcome fans to the game!